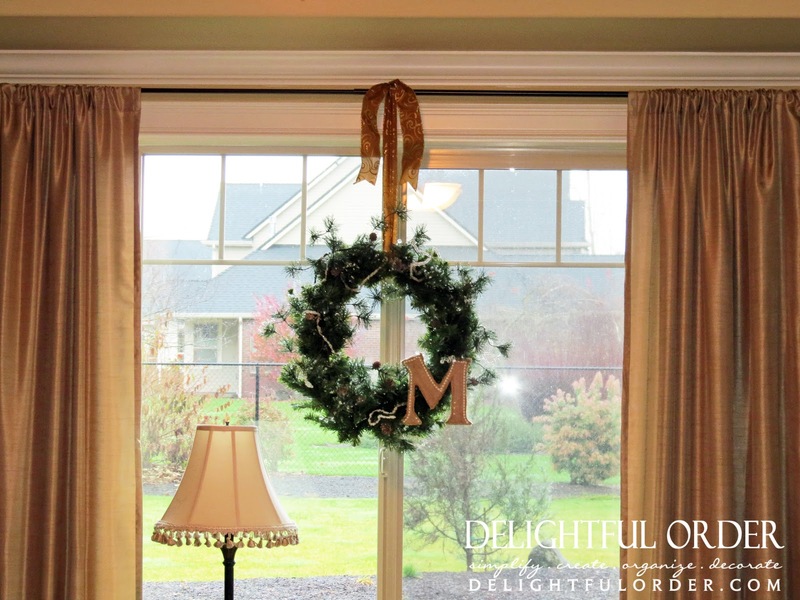 I've added letters into my Christmas Decor this year and I love it! 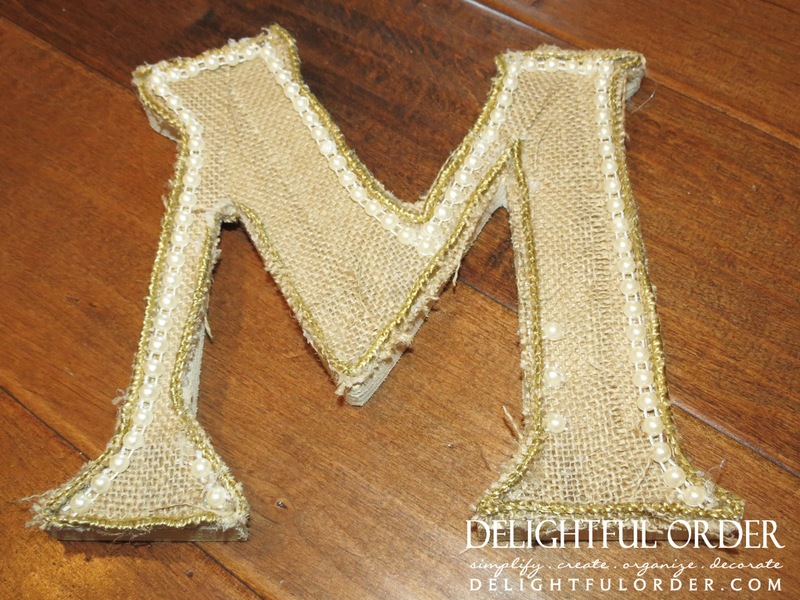 Last week I showed you how I personalized my boys' stockings by hanging letters from each of them. 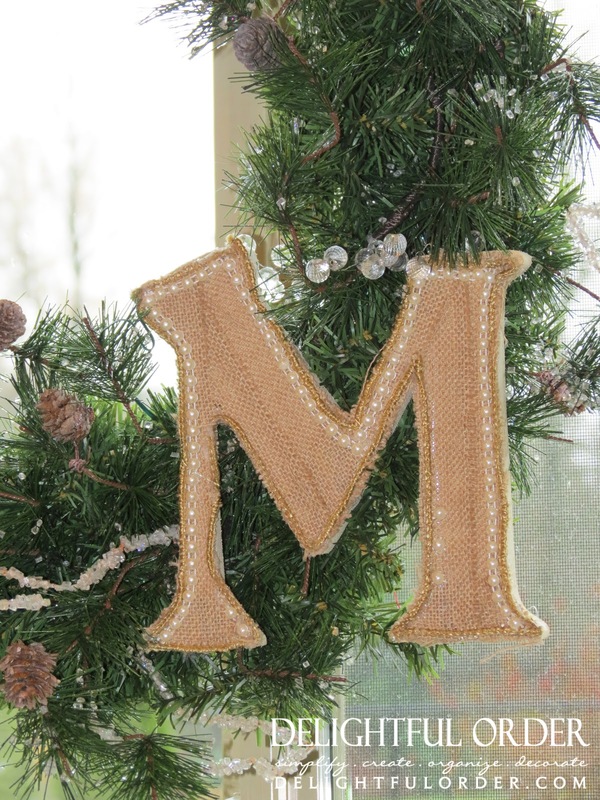 I covered a letter M (for our last name) with burlap and pearls and attached it to a wreath that I had. The M is from Joann Fabrics. ...added some pretty ribbon and hung it from my curtain rod. 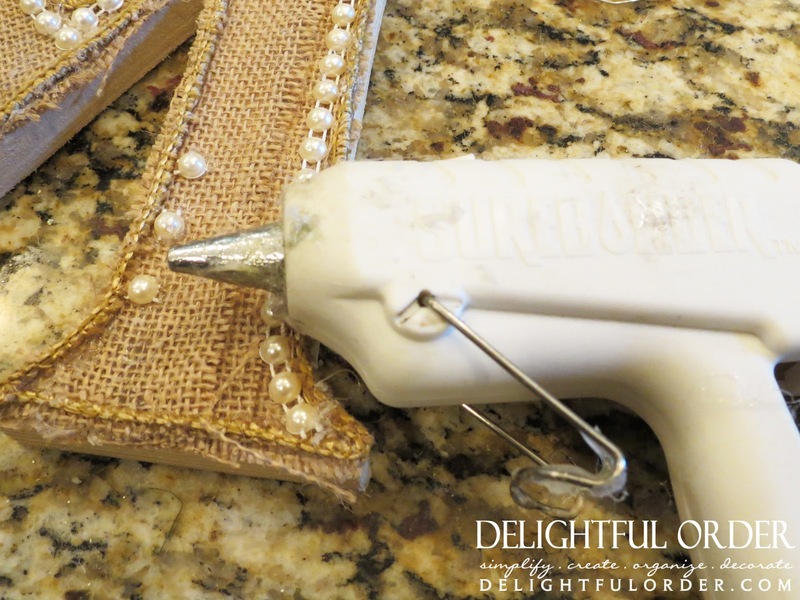 I hot glued burlap and pearls and a burlap border along the letter. 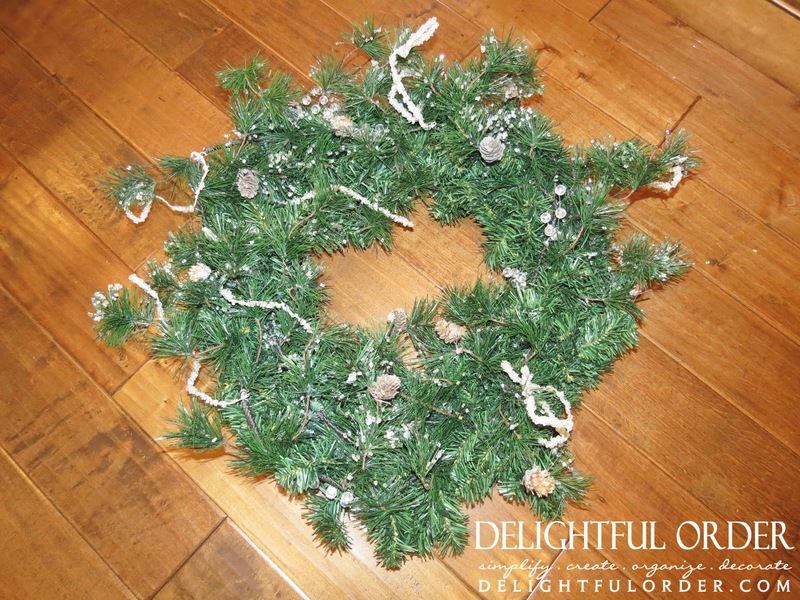 ... and once I was done with the letter, I used fishing line to attach it to the wreath. 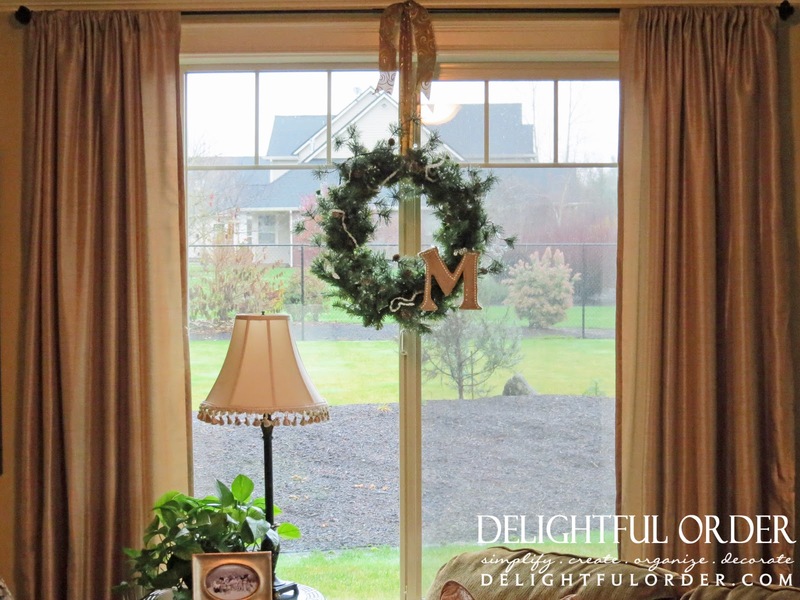 I just love the simplicity of my personalized wreath hanging in the window. Beautiful and sophisticated! Love it! Love this idea as well as your others! Decorating for Christmas is so much fun!! !